I think there’s a good chance that in the next 10 years, a lot of men around the world will come to know bespoke through Berluti. 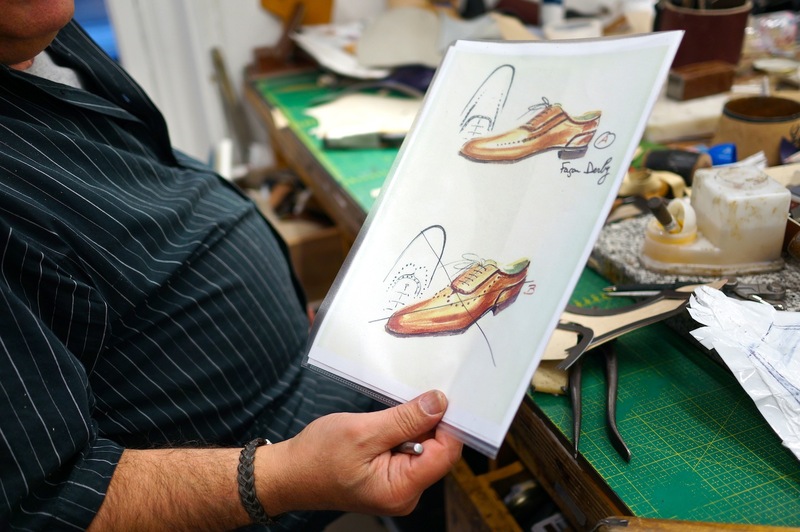 I visited the bespoke shoemaking and tailoring – under the Arnys banner – at the end of last year, and the investment in both was clear. Arnys bespoke tailoring is now visiting a continuous cycle of the new Berluti stores around the world. And the shoemaking schedule is even more aggressive. 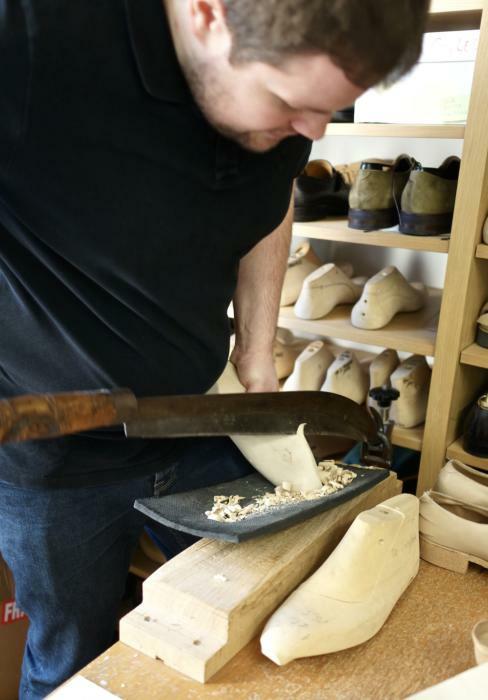 There are now three master shoemakers – with the addition of Antony Delos and his team last year – and two of them will be travelling at any one time. Can any other bespoke outfit in the world match that for sheer globetrotting? The Berluti bespoke operation is on Rue Marbeuf, next door to Cifonelli and opposite the flagship store. Although there is a bespoke salon on the top floor of the store, regular customers ring the bell on the other side of the street and are served in the atelier itself. That atelier is predictably impressive. A warren of nine rooms stretches around the mansion block, with areas dedicated to cutting, closing, lasting and finishing. Every room contains not just finished bespoke samples, which the customer can draw inspiration from, but watercolours as well. The artistic side to the craft is so much more present than any English – and most Italian – workshops. The lastmaking is not all done with the old-fashioned knife shown top, beautiful as it is. But it makes a lovely prop. And interestingly, 80% of the shoes made are Goodyear-welted, in stark contrast to the ready-to-wear. You can follow the discussion on Berluti bespoke shoemaking, Paris by entering your email address in the box below. You will then receive an email every time a new comment is added. These will also contain a link to a page where you can stop the alerts, and remove all of your related data from the site. Are the shoes Goodyear welted or hand welted? My understand is that Goodyear welted is always with involvement of a machine designed for the job, as opposed to handwelting which is only done by hand? I thought I’d share a lovely discovery I made totally by accident, related to Berluti’s bespoke shoe service. My wife and I live part of the year in the Loire Valley and on Sunday I stopped in a small town nearby called Les Rosiers. It’s hard to describe how small and quiet this town is, but it’s exactly that! In fact we’ve been in this town many many times over the past 10+ years (blink and you miss it). But this time, slightly off the main square, I came upon a “bottier” sign indicating a shoe maker. It was a Sunday but it was clear through the shop window that this was an artisan with some skill, and then I noticed the “Berluti” sign. With a few Google taps here and there I found that this is the original location of the business that Berluti/LVMH bought, run by Anthony Delos who, as part of the acquisition, insisted that he continue working in the atelier at Les Rosiers and continue making footwear. It was a joy to come upon it, especially being so small and modest. I understand that Anthony heads quality control across both the main Paris site and this “satellite”. The shoes he makes are mostly not to my taste, and certainly not within my budget. But I imagine you’d really enjoy visiting and interviewing him. That’s all – just thought you’d appreciate the story. I find it fascinating seeing how individual companies under the general banner of leather Artisans use such a diverse range of tools to do certain jobs, and often a different tool for the same job according to each firm. I’m reminded of visiting Chester Jefferies when they made gloves for my company, and being amazed to see they used Shears of the same type used to hand clip sheep to cut out their Hogskin gloves where I would prefer the clicking knife. Transferable skills ?? What is the status/availability of the Delos team? I recall the stylish gentlemen of the Internet being up in arms after Delos was absorbed by Berluti…. You can have shoes made by him, but of course only under the Berluti banner. And doubtless they are more expensive. I agree with JW. It is such a shame that independent and individual artisans/craftsmen are being absorbed into large conglomerates such as Berluti. Their services might be available to a larger customer base but I fear that their talents might be restricted by a ‘house style’. Simon, unrelated to shoes, but if you are wearing a jumper how to you tie this around the shoulders so it looks elegant, id like to go for the saint tropez just off the yaught look ..
It’s not a look I like myself, I’m afraid. If anything, I have it draped over one shoulder, or two shoulders but not knotted. 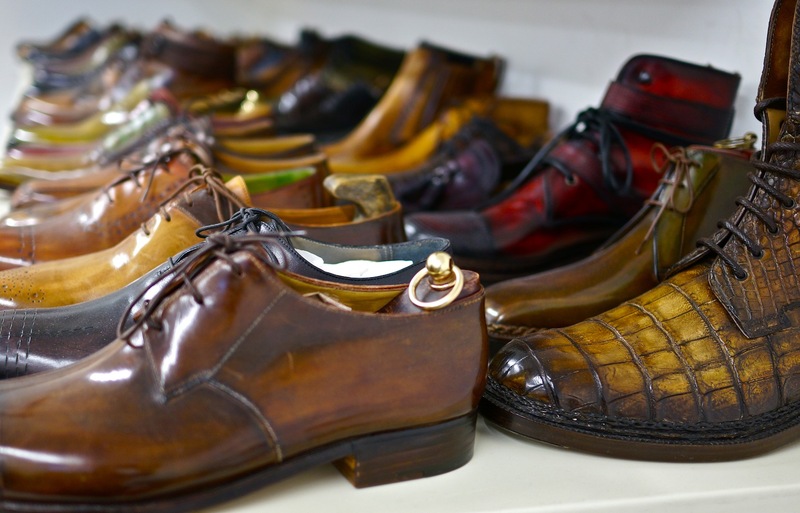 What is the price range for berluti bespoke? Are you going to be posting more in Berluti bespoke. Did you take the plunge and order a pair? I don’t know, but can find out. Apologies that this is tangential to the above post. You’ve mentioned recently that you mainly wear black shoes these days. I was wondering whether this was due a change in taste or circumstance. Has anyone here ever tried Adler Shoes? One of my friends have been raving about them. She says they make your shoes fast and that they fit perfectly everytime. I’m hoping to get an opinion from more than one person before giving them a try. Do you have any knowledge or opinions on Berluti briefcases? I know your rules for determining the quality of leather goods from your previous articles on the subject (both here and in FT), but not having direct access to the products I thought I would ask. I’m in the market for a new briefcase, I very much like Alfred Dunhill Tradition range, find Hermes too expensive, and am trying to find a few alternatives to choose between. Thanks for your help. Hi Simon, will you be updating this post in future? 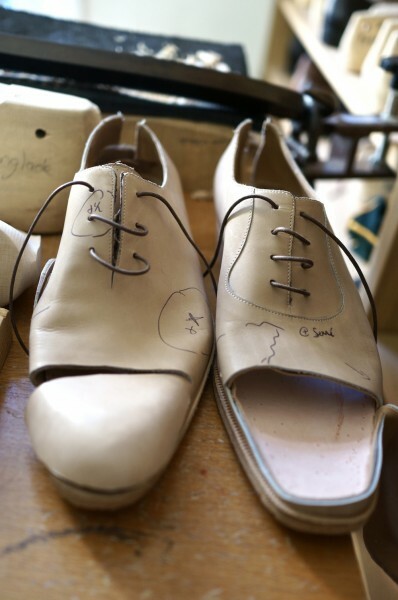 I am curious if you have since returned to the Berluti bespoke workshops. Do you know if they offer MTM, or is it solely bespoke?